This special section will include articles on tools and datasets which are expanding the horizons of learning analytic researchers and practitioners. We focus on examples which are newly available for research, novel in application, or substantially expanded in scale. We seek papers describing applications of learning analytics tools to new areas, rigorous measurements of their impact on learners, and challenges faced in design and implementation. We are also interested in papers describing unique datasets, the technical, ethical and logistical barriers to their use, and the impact which they have had on learning analytics. While we aim to cast the net widely, we expect that all tools and datasets described will sit solidly at the intersection of teaching and learning, involving significant analytic or computational aspects. Conceptual Contributions: papers that develop theoretical positions on what kinds of tools and datasets are needed to understand and optimize learning and the environments in which it occurs. Reviews: papers that review the existing literature on classes of tools, the data which support them, and their impact on learners. Design and Application Contributions: papers which present an overview of the research, development, and delivery of learning analytics tools at scale, including the ways in which impact measures were obtained and included in the design process. Implementation and Adoption Contributions: papers which report on the use of learning analytics tools by practitioners, analyze the challenges to adoption and impact, and describe organizational structures which support the use of learning analytics at scale. Prospective authors are welcomed to reach out to the special issue editors in advance in order to ascertain fit for the special section. The editors will reply to prospective authors with feedback on ideas within two weeks. Final submissions will take place through JLA’s online submission system at http://learning-analytics.info. When submitting a paper, select the section “Special Issue on Learning Analytics Tools and Datasets”. All submissions should follow JLA’s standard manuscript guidelines and will undergo rigorous peer review. For any additional questions, please contact the special issue editors at jla-tools@umich.edu. 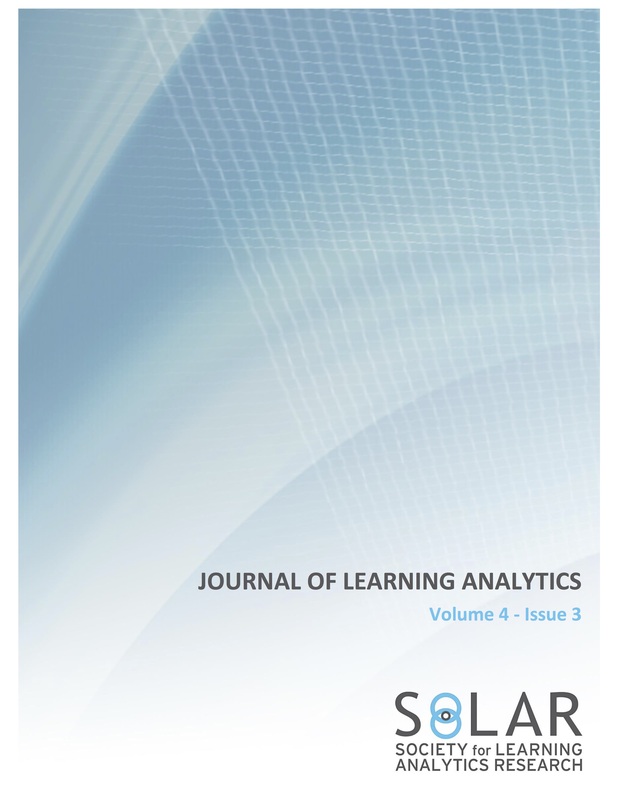 The Journal of Learning Analytics is peer-reviewed, open-access, and is the official publication of the Society for Learning Analytics Research (SoLAR).